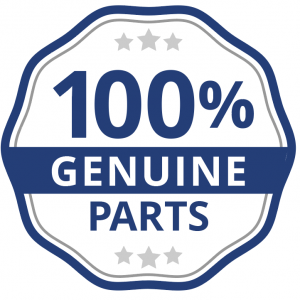 As Omaha’s top appliance repair service, we have the largest local inventory of OEM appliance parts for 100 miles. To help get appliances back on their feet, we open the doors of our parts warehouse (which also stocks furnace and HVAC parts) to everyone in greater Omaha’s maintenance and DIY community. Let us help you get the parts you need as soon as you need them. Why Choose Your Local Omaha Parts Store? Would you rather speak with our parts manager, a 30-year veteran of the business, or an hourly call center worker? We thought so. Not only can we ensure you’ll get the right part, we know when manufacturers change or update their parts. We can even answer your questions on how best to install the part. Our knowledge makes your project easier. Overnight shipping still isn’t as fast as same-day pickup (plus it costs more). Fix your appliance the day it breaks, don’t wait. Even OEM parts fail on occasion. Instead of the hassle of online returns, just pop by our Omaha store and we’ll exchange it. We carry OEM parts for all the following brands (yeah, we cover a lot). Admiral, Alliance, AGA, Amana, ASKO, Avanti, Bertazzoni, Badger, Blomberg, Bluestar, Bosch, Broan, Caloric, Coldspot, Comfortaire, CornueFé, Crosley, Dacor, Danby, DCS, Electrolux, Emerson, Estate, Fisher and Paykel, Frigidaire, GE, General Electric, Gaggenau, GE Monogram, GE Profile, Gibson, Goldstar, Haier, Heartland, Hotpoint, Huebsch, Inglis, Insinkerator, JCPenney, JennAir, Kelvinator, Kenmore, KitchenAid, LG Parts, Liebherr, Litton, Magic Chef, Marvel, Maytag Parts, Maytag Bravos, Maytag Atlantis, Maytag Performa, Maytag Centennial, Maytag Dependable Care, Maytag Epic, Maytag Epic Z, Maytag Neptune, Miele, Montgomery Ward, Modern Maid, Norge, NuTone, NXR, Oster, Panasonic, Perlick, Premier, Peerless, Preway, Quasar, RCA, Roper, Samsung Parts, Sanyo, Scotsman, Sears, Sharp, Siemens, Soleusair, Speed Queen, Splendide, Sub-Zero, Summit, Tappan, Thermador, Thor, True, Twin Star, U-Line, Verona, Viking, Vinotemp, Vissani, Wards, Westinghouse, Whirlpool Parts, Whirlpool Cabrio, Whirlpool Calypso, Whirlpool Duet, Wolf, Zenith, Zephyr, and more. Before you call or drop by, locate the model serial tag on your unit and copy it down. Air conditioners, cooktops, dehumidifiers, dishwashers, dryers, freezers, garbage disposals (disposers), icemakers, ice machines, microwaves, electric ovens, gas ovens, rangehoods, downdraft ventilation, electric ranges, gas ranges, refrigerators, built-in refrigerators, stackable washers and dryers, laundry centers, trash compactors, washers (washing machines), furnaces, wine refrigerators, wine coolers, vent hoods.